2010 was quite a memorable year for owner and founder Kendra Leonard. Having just lost her husband to leukemia in October of 2009 and not given a final promotion with Banana Republic after a steadfast 11 years of working there, she decided that it was time for a change. Her goal was to write a business plan by the end of March so she could dedicate her energies towards raising money for the Leukemia and Lymphoma society as she was nominated for the 2010 Woman of the Year. Ten tiring weeks and $30,000 later, Kendra won the campaign. It was with this new sense of confidence and humility that Kendra knew that she was on the right path. In the middle of July she put in her notice. Combining her love for travel and clothing, she went to Milan in September. There she was inspired to continue living the dream. By the beginning of November, The Art of Style had arrived. Within the first year of business, Kendra was named one of the top 5 Most Stylish People in the Triangle, and after celebrating their one year anniversary, the second store was opened at Cameron Village on 11.11.11. 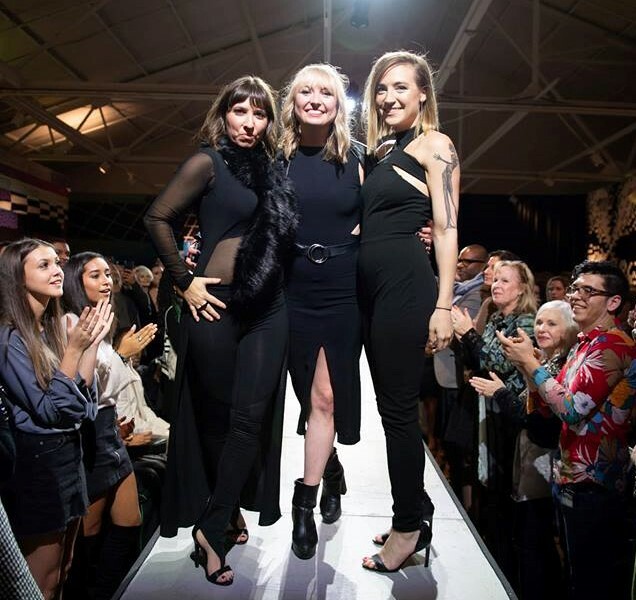 By the end of the next year, Creative Director (and Kendra's partner-in-crime), Natalie Drennon, was also added to the list of Most Stylish in Raleigh and on 12.12.12, Kendra published her book 'You Only Live Once.' On her third anniversary of being self employed, she decided to consolidate stores to just the one location in Cameron Village. And in the fall of 2016, they relocated to Downtown Raleigh as the first men's and women's retailer. The Art of Style is an inclusive environment that helps people discover themselves through timeless fashion. This boutique caters to men and women who have an appreciation for style, therefore reflecting a well-lived life. They use clothing and accessories to express themselves which accommodates their ever-changing moods as they journey through life. Here you will find modern, clean, classic, yet current clothing that can fit into any aspect of your life. From work, to weekend, to vacation, we have what you need for any occasion. We carry a mix of clothing from around the world, focusing on great design and fabric, but unique to the Raleigh area. We work hard with our vendors to ensure that what we carry are exclusive styles with only a few sizes available so that you, our clients, feel extra special knowing that you’re not walking around looking like everyone else, but expressing your individual style. We strive to acknowledge local designers and their talents. Every month, we have a new artist who displays their artwork on our walls to compliment the store environment as we reconfigure the store for a fresh look to all. Each artist hosts their very own showcase during Raleigh's First Friday where folks can mix + mingle with local talent as they shop. Supporting local artists and businesses along with the rest of the community are part of our nature and we promote that focus with our clients as well by hosting monthly events to celebrate life on a regular basis and give back. We also partner with Merchant Match Charity by donating funds with every credit card swipe to The Leukemia and Lymphoma Society, raising over $100,000 to date. The Art of Style client is not defined by age, gender, shape or size, but by lifestyle. They are empowered, independent, and beautiful people inside and out. Many have their own, unique style and enjoy building on it with our clothing - others come to us for help expressing themselves through clothing in a way they never have before. One thing they all have in common is an appreciation for clothing and the understanding that if you look good, you feel good. They are the reason we are able to do what we do - and the reason we love doing it. Know that every time you walk into the Art of Style, the staff is there to advise and empower you - not to pressure you into a sale. We want you to feel great about every purchase you make from our store. 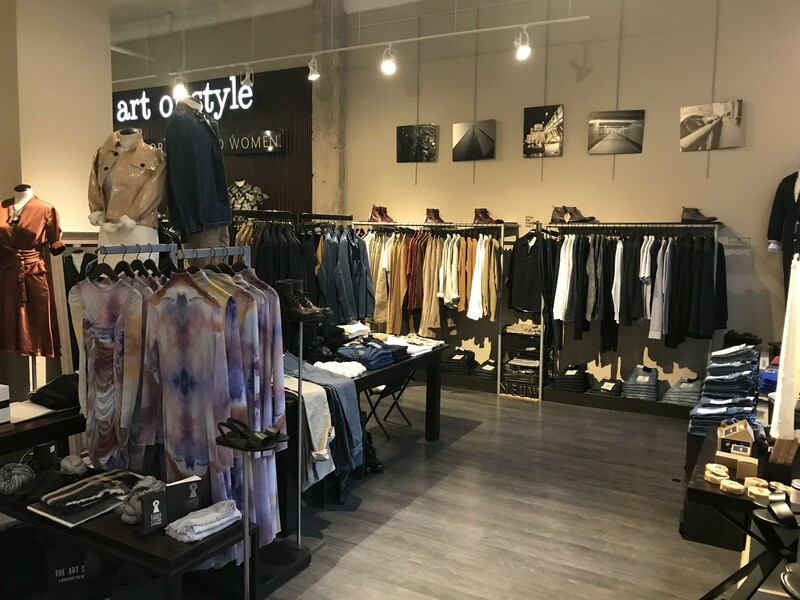 We can walk you through our merchandise, let you browse at your own pace, or pick out an entire look for you based on your needs without you lifting a finger. We want to be known for stellar service, which translates to the right type of service for each individual who walks through our doors. Because style, quality, and value are at the foundation of what we do, we also offer alterations as a service to ensure the clothing fits you properly every time. Kendra Leonard (owner), Jessica Henry (content developer) & Natalie Drennon (creative director). Check out our STY(LIST)blog page to get to know our staff + get the most out of our styling services. The Art of Style's journey is far from over. With plans to expand the current store concept, the team hopes to have a location in major cities across the globe. But it doesn't end there - the team also would like to have a family of brands including Taos Kids + Taos Body, and, when they start to design, Kendra and Natalie's respective labels, kendra michelle and N/A. Once they take over the states, the international expansion will begin.